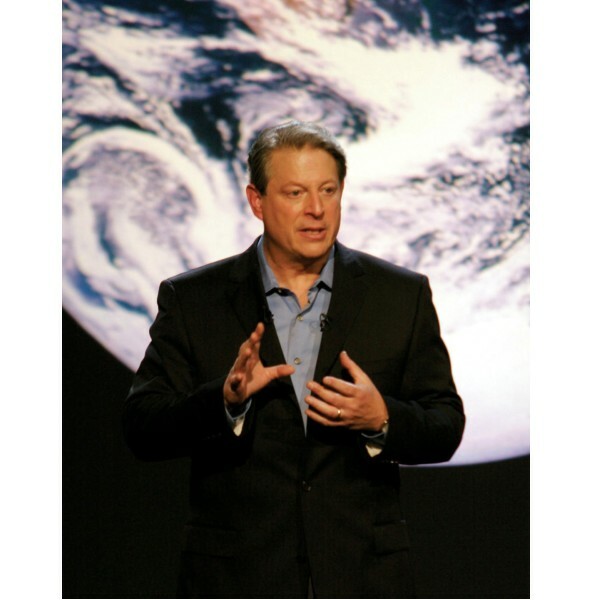 Home » Climate change » Al Gore’s new presentation : fantastic ! Al Gore’s new presentation : fantastic ! It seems that the former vice president of the United States and Nobel Peace Prize Al Gore (pictured left) is more and more in the news. This is due to me to make major topics of the environment protection and climate change mitigation in the elections which will happen later this year in the USA. The video is approximately 30 minutes long : 20 minutes of presentation and roughly 9 minutes of Q&A. Enjoy, and most importantly, share it with your family, friends and relatives. My impression after watching this video, is that it can be done, climate change mitigation can become a reality and not a dream. A lot of hope, that’s what Al Gore brings here. And in a sense, he is true as a lot of changes occured since the release of An inconvenient truth. Some bad news, but also some good. TED also provides us with another video from Al Gore, this time done in February 2006. It is about the 15 ways of averting climate change. Very interesting and it refers, at least partly to the Stabilization Wedges theory. I already talked about this theory with three different articles : the introduction and the comments and finally the choices I would do. If you are interested in Al Gore’s work, you can also have a look at my article on the We Campaign, that was launched very recently. I believe Al Gore’s actions ( without forgetting his alliance ) will lead to a change toward the good direction in the United States and in the world. Anyway, be sure I will keep you posted. So for this, and for much more, stay tuned and don’t hesitate to leave a comment on the video as I would gladly read you. Thanks to La Marguerite for providing me the original news.